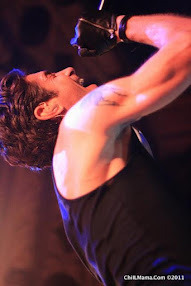 I'm elated to be catching the press opening and reviewing for ChiILLiveShows.com. Dael Orlandersmith and Chay Yew are favorites of mine and I'm eager to see their collaboration on Goodman's latest, Lady in Denmark. I'll be out on opening night, October 29th, so check back soon for my full review. Pulitzer Prize Finalist Dael Orlandersmith highlights the universal languages of love and music in Lady in Denmark, kicks off the 2018/2019 season in the 350-seat flexible Owen Theatre. Chay Yew, who also helmed the play’s 2016 New Stages Festival staged reading, directs Linda Gehringer as Helene—a Danish American woman coping with the death of her husband who finds solace in the hauntingly beautiful music of their favorite singer, Billie Holiday. Orlandersmith’s newest play is Helene’s journey through the couple’s time together—from the smoky jazz clubs of post-war Copenhagen to the home they shared in present-day Andersonville, Chicago. 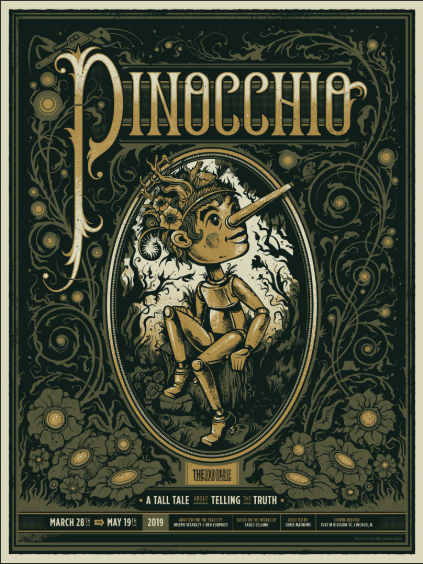 The creative team includes Andrew Boyce (set), Christine Pascual (costumes), Lee Fiskness (lighting) and Mikhail Fiksel (original music and sound). Donald E. Claxon is the production stage manager. 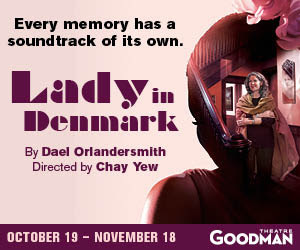 Lady in Denmark appears October 19 – November 18, 2018 (opening night is October 29 at 7pm) in the Goodman’s Owen Theatre (170 N. Dearborn); tickets ($15-45; subject to change), by telephone 312.443.3800 or online GoodmanTheatre.org/LadyInDenmark. The world premiere production marks Orlandersmith’s fourth collaboration with the Goodman. 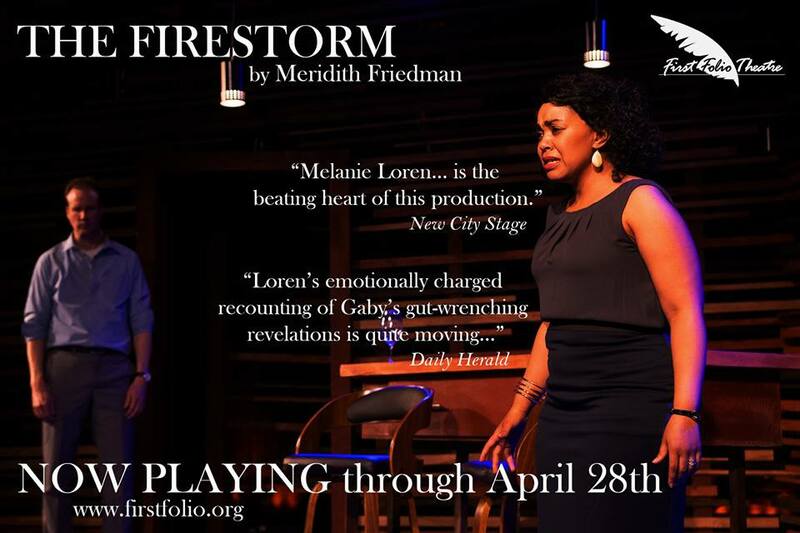 Her most recent work, Until the Flood, appeared at the Goodman during the 2017/2018 Season; and previous works include Black n Blue Boys/Broken Men (2012/2013 Season) and Stoop Stories (2009/2010 Season). She joined the Goodman’s Artistic Collective in 2016 as an Artistic Associate and Alice Center Resident Artist. Orlandersmith was named a Pulitzer Prize finalist and Drama Desk nominee Outstanding Play and Outstanding Actress in a Play for her 2002 production, Yellowman, premiered at the Manhattan Theatre Club. American Airlines is the Contributing Sponsor for Lady in Denmark. The Goodman is grateful for the generosity of its New Work sponsors, including: the Time Warner Foundation, Lead Support of New Play Development; the Pritzker Pucker Family Foundation, Major Support of New Play Development; the Harold and Mimi Steinberg Charitable Trust, Major Support of New Work Development; and The Glasser and Rosenthal Family, Support of New Work Development. Audiences can save more with Goodman Theatre’s MEMBERSHIP packages—including Classic, 8-play, 5-play or 3-play packages; Choice, a personalized package that can include both Owen and Albert productions; and Whenever—the ultimate flexible package, to be used at any time during the season. All Goodman members receive unlimited ticket exchanges, discounted parking, 15% savings at the Goodman bar and gift shop, restaurant discounts and more. To purchase a Membership visit GoodmanTheatre.org/Memberships or call the Box Office at 312.443.3800. AMERICA’S “BEST REGIONAL THEATRE” (Time magazine), Goodman Theatre is a premier not-for-profit organization distinguished by the excellence and scope of its artistic programming and civic engagement. Led by Artistic Director Robert Falls and Executive Director Roche Schulfer, the theater’s artistic priorities include new play development (more than 150 world or American premieres), large scale musical theater works and reimagined classics (celebrated revivals include Falls’ productions of Death of a Salesman and The Iceman Cometh). Goodman Theatre artists and productions have earned two Pulitzer Prizes, 22 Tony Awards, over 160 Jeff Awards and many more accolades. In addition, the Goodman is the first theater in the world to produce all 10 plays in August Wilson’s “American Century Cycle;” and its annual holiday tradition A Christmas Carol, which celebrates its 41st anniversary this season, has created a new generation of theatergoers. The Goodman also frequently serves as a production partner with local off-Loop theaters and national and international companies by providing financial support or physical space for a variety of artistic endeavors.